I’m sure by now you’ve heard about the rise in the tick population this year. There are a couple factors that have contributed to this upswing in the population. First, the recent mild winter’s void of snow and ice and prolonged deep freeze periods has extended the lifecycle of the ticks. This in turn produced a larger breeding population in the spring. Second, there has been an increase in the white-footed mouse population in recent years which has provided the perfect host for the ticks to thrive. 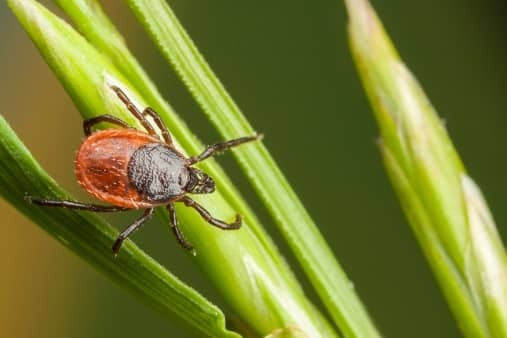 Due to all the radio stories and articles on social media regarding ticks, you may have been receiving concerned calls from your home owner's associations regarding this topic. Rest assured there is no need for the board president or residents to panic and lock themselves away indoors for the summer. Apply a bug repellent that contains a minimum of 20% DEET (common active ingredient in most bug sprays). Protect yourself from the ground up. Ticks can’t fly so they look for the path of least resistance to gain access to your skin. This is usually from the ground up. You may not be making a fashion statement by tucking your pant legs into your socks but you will deter ticks from the easy access point to your body. Do a thorough inspection of your body, gear and pet after being outdoors. Ticks can ride into your home on your clothing or pets and attach to your skin later. Shower as soon as possible after coming indoors. Tumble dry your clothes on the highest heat for 10 minutes to kill ticks that may be hiding on your clothes. Should you or your pet pick up a tick while outdoors, gently grab the body of the tick with a common pair of tweezers to remove from the skin. Try and avoid breaking the head off in the skin. Should this happen, consult your vet or physician for treatment. Remove leaf litter, clean up brush piles, and keep tall grass mowed which will reduce the natural habitat for ticks. Create a woodchip or stone buffer between wooded areas to keep ticks out of the outdoor living space. Consider using a chemical control agent. Several manufacturers offer tick control chemicals for use to a homeowner or a professional pest control expert can apply them. Even limited applications can greatly reduce the number of ticks. Discourage deer browsing. Remove plants that attract deer and replace with plant material that is deer resistant. With a little safety measure, landscape management and preparedness, you can have peace of mind that every condo & HOA resident can still get out and enjoy their favorite summer activities safely.